Summer is the perfect time to enjoy a great sandwich. 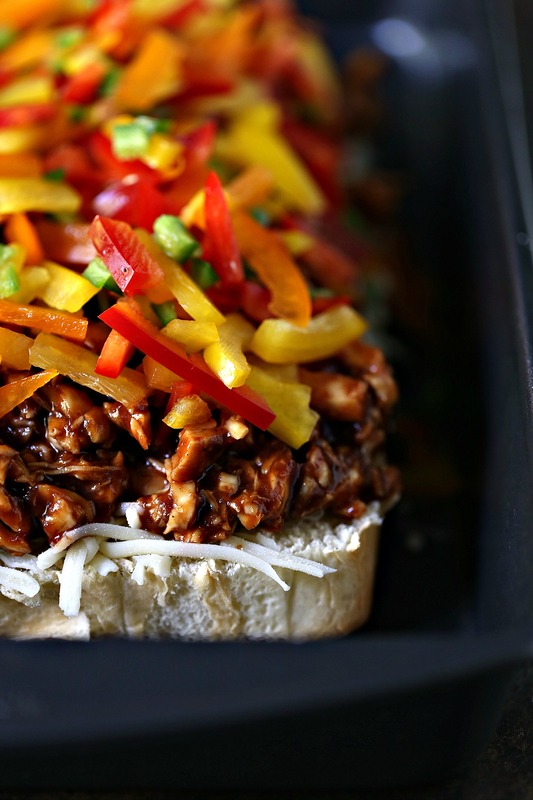 These little Spicy BBQ Chicken Fajita Sliders pack a flavor punch. 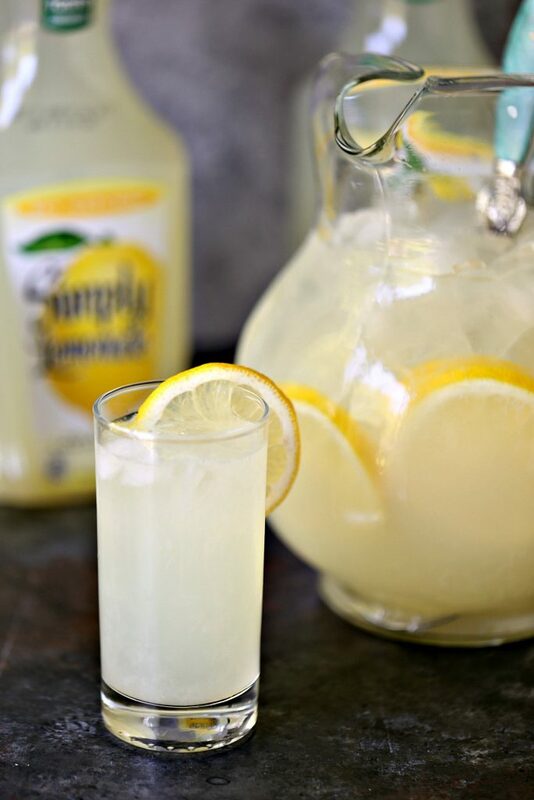 Serve with Simply Lemonade® at your next picnic or cookout. This post is sponsored by The Simply Orange Juice Company. All opinions are my own. Thanks to all the companies, and readers, who help support Cravings of a Lunatic. Today we’re kicking off “100 Ways to Summer”. I’ve partnered with The Simply Orange Juice Company and Sam’s Club to share a recipe that will inspire everyone to fire up their grills, grab a cold beverage, and enjoy every single moment of summer. 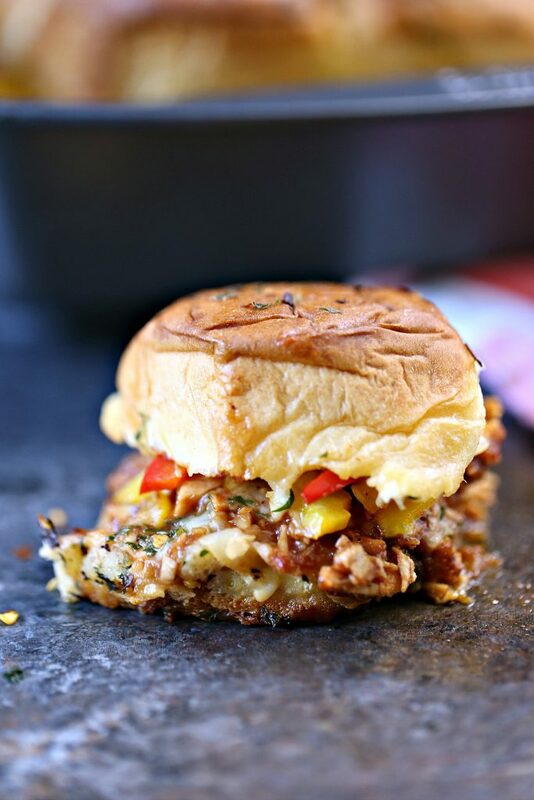 These tiny Spicy BBQ Chicken Fajita Sliders are packed with chicken, bell peppers, jalapeno peppers, mozzarella cheese, then topped with Parsley Butter and Red Pepper Flakes. It’s a flavor explosion, in the best way possible. I’ll let you in on a little secret. You ready for it? This girl LOVES to grill. No joke. 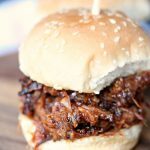 I even have a second blog that’s totally dedicated to grilling recipes. Anything you can cook on the stove top or in the oven can be cooked on the grill. For real. That’s the straight up truth. 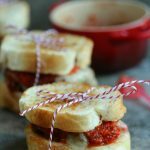 For this recipe I wanted to make tiny sandwiches that could be served on a giant platter but could also be packaged up to take along on a picnic. You can wrap these little sliders up and pop them in a picnic basket. Versatility was my ultimate goal here as well as making sure the recipe didn’t require anyone to heat up their house this summer. If you’re like me you want to avoid turning the oven on at all costs. Am I right? So, this recipe is cooked on the grill. Yes, you read that correctly. These adorable little slider sandwiches are cooked on the grill. It’s so easy to cook things like this on your grill. Just use indirect heat. I can see some of you scratching your heads and wondering what indirect heat means. Don’t worry your pretty little heads about it. I’m going to explain it so it’s super easy to understand. You ready? Fire up your grill. Whether it’s charcoal or gas, it really doesn’t matter. Just start it and get it hot. Then you need to make two zones. This is way easier than it sounds. On a charcoal grill you will move the charcoal to one side of the grill, this is your DIRECT HEAT side of the grill. On a gas grill you will turn off one side of the grill. So, if you have 4 burners turn off two on one side. If you have 6 burners turn off 3 on one side. Leave the other half on and that is your DIRECT HEAT side of the grill. For both types of grills the side without fire or gas is the INDIRECT HEAT side of the grill. Place a grill safe thermometer on the INDIRECT HEAT side of the grill so you can accurately keep track of the temperature. Cook food you would put in the oven on the INDIRECT HEAT side of the grill. Easy peasy. Melts your cheesy!! I knew I wanted to use rotisserie chicken to keep things simple. No one wants to cook a whole chicken to make sliders. So I picked up a Member’s Mark Rotisserie Chicken at Sam’s Club. While I was at Sam’s Club I also stocked up on tons of Simply Lemonade®. I love bringing lemonade along on picnics and we serve it at all our cookouts. Rotisserie chicken is the way to go with this recipe. It’s already cooked so all you have to do is remove the meat. I used the white meat only for this recipe but you can use both. This recipe is incredibly simple to make. I used fresh peppers on mine but if you’re pressed for prep time you can swap them out for jarred peppers. No judgement here. I made a quick parsley butter then melted it in the microwave to pour over top of the sliders. Again, if you’re pressed for prep time you can always use Italian salad dressing over top. This recipe uses mozzarella cheese, but if you don’t want cheese you can omit it. Or if you prefer another kind of cheese you can always swap it out. Use what works for you and your taste buds. 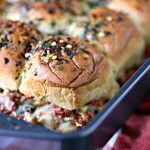 I used Hawaiian Sweet Rolls for this recipe. You can use mini burger buns or rolls. Whatever is easiest to find and use for you. I’m all about keeping things simple in summer. No matter how you stack yours, be sure to adjust the spice level to your own tastes. I used jalapeno peppers mixed with the peppers inside then red chili flakes on top. You don’t have to. Summer is all about keeping things simple so you can make the most of your time. 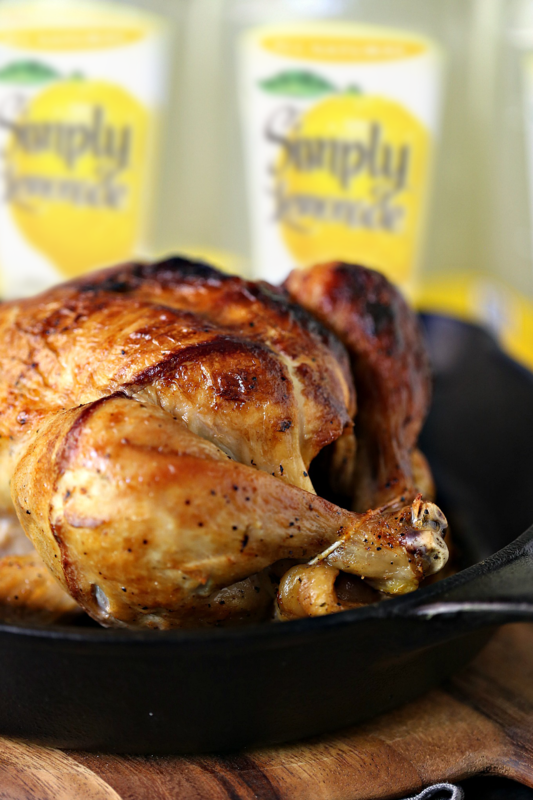 So swing by Sam’s Club for Member’s Mark Rotisserie Chicken and Simply Lemonade® to stock up for summer! The “100 Ways to Summer” Campaign is hosting a sweepstakes, too! Stop by the Sam’s Club website for more information. Line the bottom of the pan with the bottom buns. 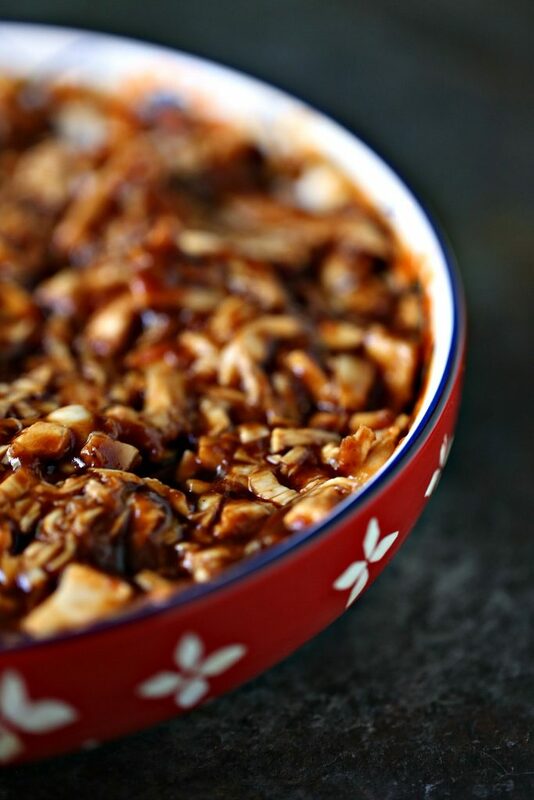 In a medium size bowl combine the shredded chicken and bbq sauce. Stir until combined. 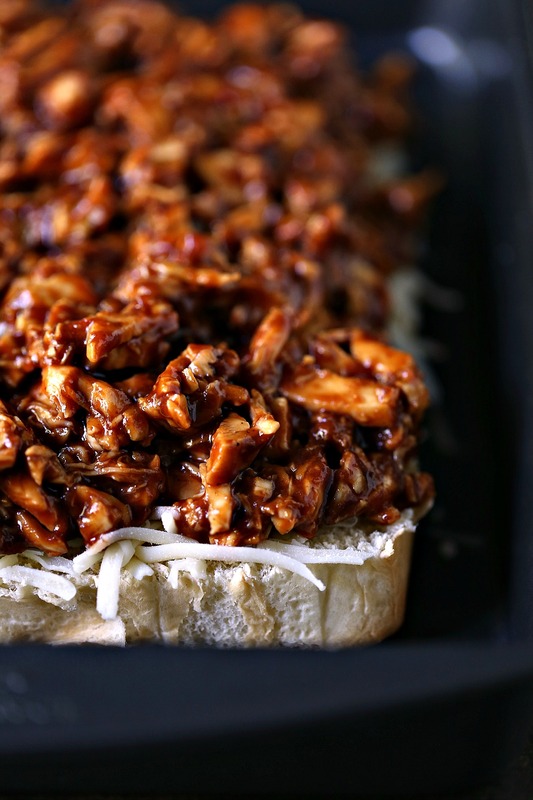 Scoop bbq chicken mixture over the bottom buns. In a large bowl combine all the peppers and toss together. Spread over top of the bbq chicken mixture evenly. 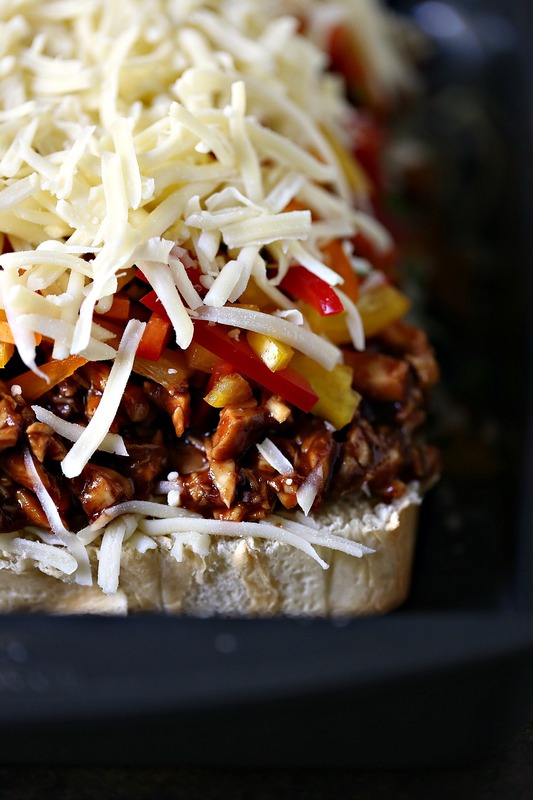 Sprinkle cheese over top of the pepper mixture evenly. Place the top buns over top of the cheese mixture. Press down slightly. Melt the butter in microwave then add parsley and red pepper flakes. Mix until combined. Pour over top of the buns evenly. Cover pan with foil and place in preheated oven or on preheated grill (350 degree F) and cook for 15 minutes. Remove foil and place back in the oven/grill for 5 to 10 more minutes, until cheese is melted and top of buns are golden brown. Serve with a big old slider loving smile! PIN THIS TO YOUR FAVOURITE RECIPE BOARD! Check out my recipe index for more amazing recipes. You can find more grilling recipesand tons of summer recipes. 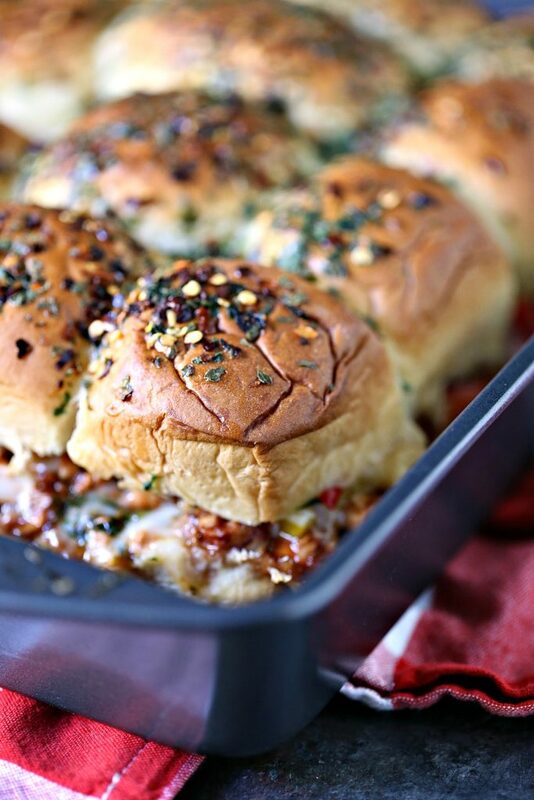 Oh my gosh, Kim, I don’t think sliders have ever looked quite this good to me…these are totally drool-worthy! Great tips on how to use the grill! I need to visit you and learn how to use one the right way…it’s so not my forte!! But this is something I think I could handle. 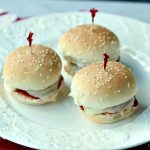 These sliders look delightful and so easy to prepare. So wonderful for a hot summer evening, Kim! Gorgeous photos! Gotta love rotisserie chickens for making recipes like this. I do the same when I’m making sandwiches or dishes that call for cooked chicken. 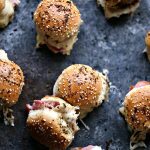 These sliders sounds DE-licious! Party + Explosion of flavors in your mouth —- you are sooooooo right! YUM. You succeeded at making me really hungry over here! These sliders look incredible. 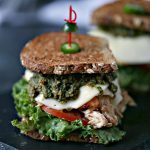 I love using rotisserie chicken too and I know my family would love eating these for dinner! Total party food right here! 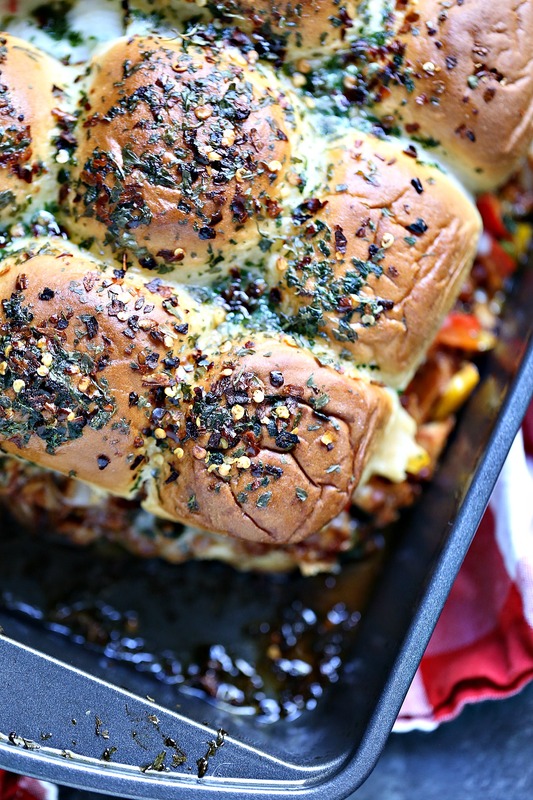 I adore sliders and chicken fajitas and simply lemonade… so these are perfect! <3 Absolutely love bite size food for get-togethers! Thanks for this yummy recipe! You had me fajita! One of my fav foods, so I am ALLL over these sliders! It’s 8am and I’m craving spicy chicken sliders 🙂 Adding these to our menu! !